Good Morning & Happy Monday Stamping Friends! & while you're there; you can also read up on the rules so you can play along with us! After you've been inspired; you'll have until next Sunday October 6, 2013 @ Noon EST to link your creations. I can't wait to see what you come up with....have fun & happy stamping!!! Jackie, this card is beautiful! 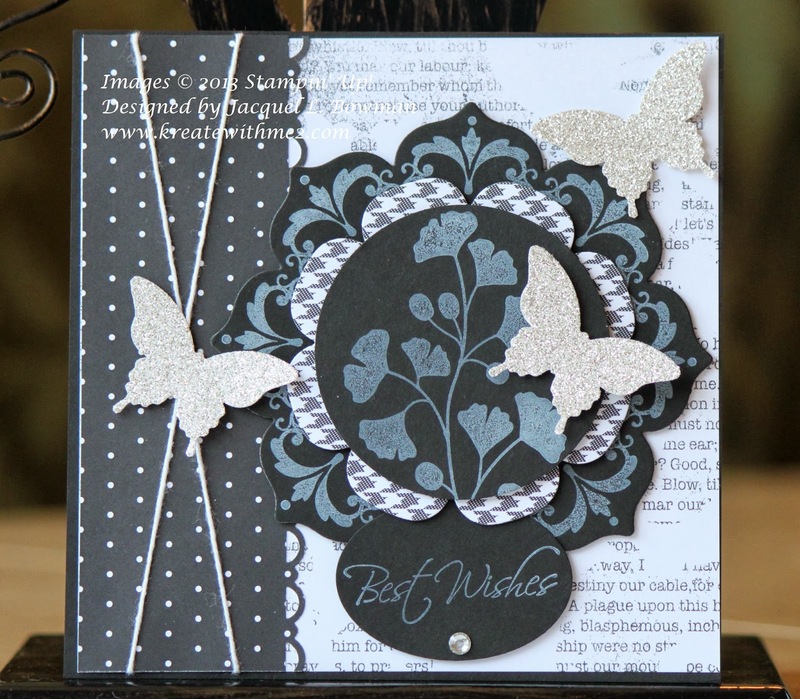 I think monochromatic cards are challenging to make, but you have made it look so easy with your gorgeous butterflies, designer papers, etc. Such pretty colors and all of the details...so many perfectly put together. Great card! Your card turned out just beautiful, Jackie! I can spend hours moving bit and pieces around before I'm finally satisfied. Jackie, you always make such lovely and elegant cards! This one is no exception! Hope all is well on the house hunt. Blessings, COF friend! Beautiful elegant card - great colour combinations and lovely sparkly textures. Thanks for sharing it with us at C2CU this month. Beautiful! Love that you have kept it in monochromatic colours. Thanks for playing with us at Sweet Stampin' this week. This card is so elegant! The darker colors you chose really make it stand out. Beautiful card, love the butterflies! Thanks for sharing at Brown Sugar Challenge! Just beautiful! I like how you placed your butterfly on the twine.